Ready to learn more about the fascinating world of unschooling? 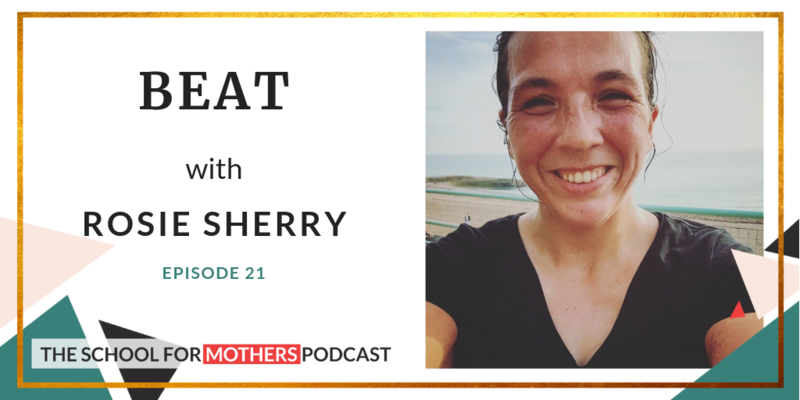 In this week’s episode I am thrilled to be joined by Rosie Sherry, a mum of 5, who 6 years ago followed her heart and decided to home educate her children. Not only that Rosie founded Ministry of Testing, an ever growing global software testing community! During this episode we chat about the subject of unschooling. Not just the practicalities but arguably most importantly the ‘whys’ behind a decision like that. We discuss how online communities have grown into thriving businesses and how it’s ok to go against the ‘system’, in fact we highly recommend it! 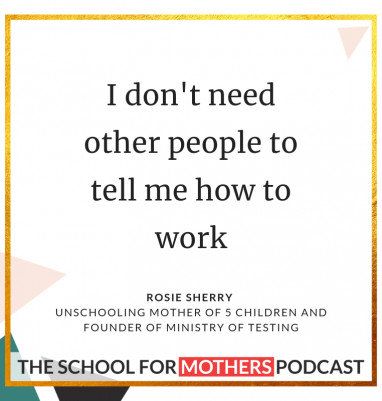 Rosie is an unschooling mother to 5 amazing children and Founder of Ministry of Testing. She lives in Brighton, Saltdean actually. (Can we make that into a thing? Instead of ‘Hove Actually’.) She also seems to have the knack with building communities she cares about. JOIN OUR PRIVATE SFM FACEBOOK GROUP!